National Chocolate Covered Cherry Day falls on January 3rd this year, so postpone your New Year’s dieting and put a cherry on top of the holiday season with these yummy recipes! The sweetness of maraschino cherries and the bittersweet decadence of chocolate are incredible on their own—but when combined in a recipe like the one featured here, they hit a culinary home run. 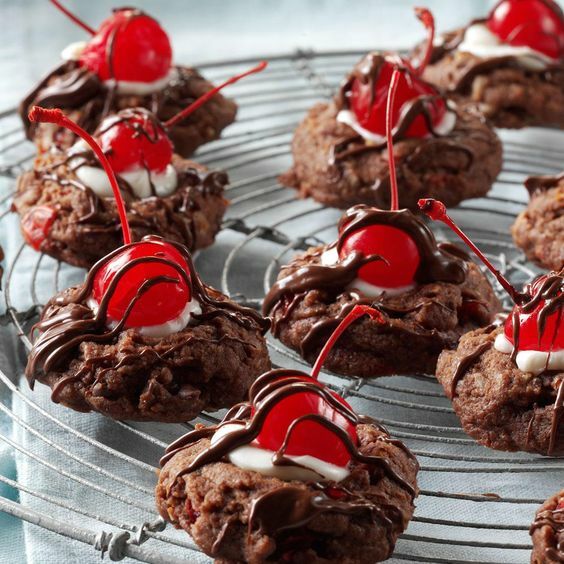 Muster up the strength to bake one more incredible dessert this season and make these amazing chocolate covered cherry cookies. Or, save the recipe for Valentine’s Day! To make these tasty chocolate cherry cookies at home, you’ll need vanilla frosting, maraschino cherries, lots and lots of chocolate, and some flaked coconut. We recommend enjoying these while they’re still warm, but you can easily store a batch or two in an air-tight container for several days. 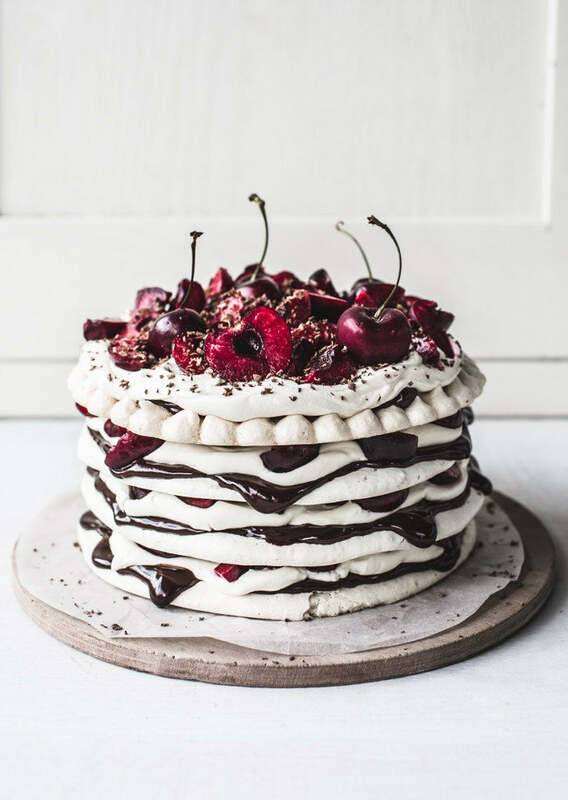 Light, crisp, and melt-in-you-mouth meringue pairs perfectly with the heavy richness of melted chocolate and tart sweetness of fresh cherries. If you’ve ever had a macaron or pavlova, this is very similar, but brings a whole new level of texture and divinity to the table. Cherries come into season in late spring, but your grocery store should have some. If not, use a mix of raspberries, blueberries, and maraschino cherries (sparingly) to create another delicious rendition of this amazing dessert. Here’s a tip: meringue gets soggy quick, so prepare all ingredients beforehand, but don’t assemble until right before you’re ready to eat. Macarons have been lining bakery shelves since the 1500s! That means bakers around the world have had hundreds of years to perfect these delicate and delectable morsels. 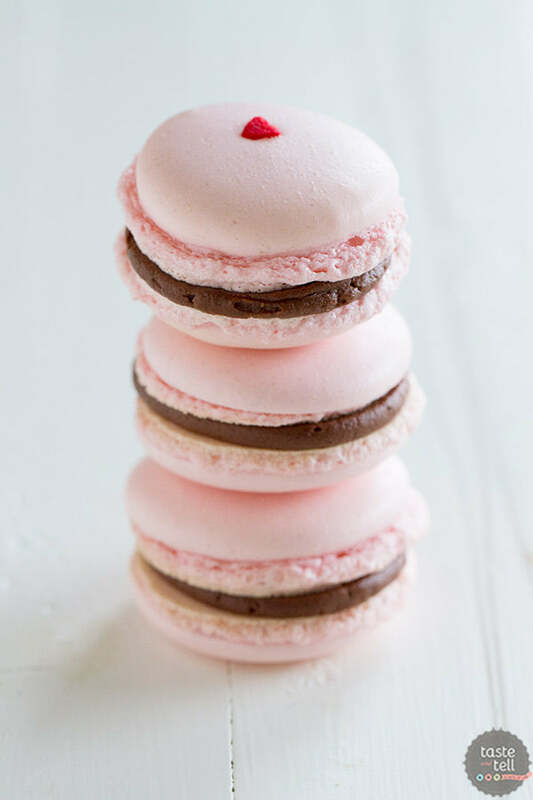 We love this chocolate covered cherry macaron recipe because it tastes incredible and looks adorable with its baby pink coloring and sandwiched layers of chocolate and cherry. If this is your first time at making macarons, cut yourself some slack. They’re a dainty and somewhat difficult dessert to master, so give it time. No matter what they look like they’ll still taste yummy if you follow the recipe exactly! Get ready to drool. 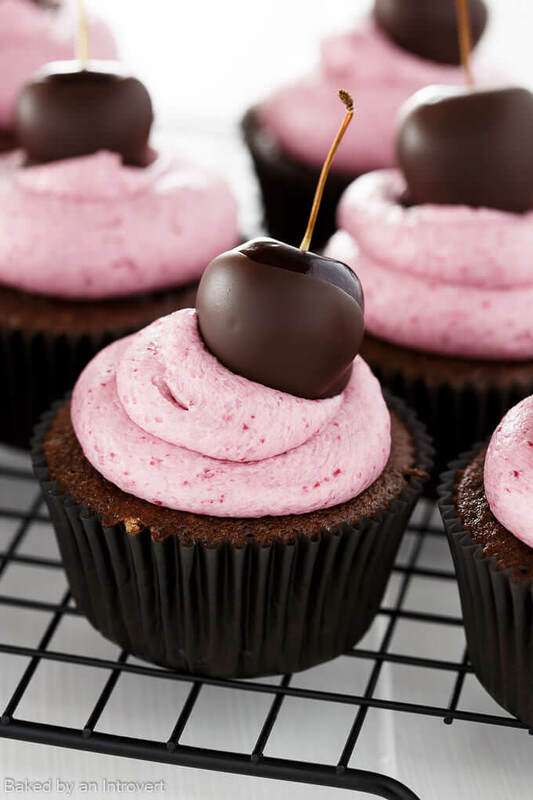 These chocolate dipped cherry cupcakes have dense chocolate cake, fresh cherries, bittersweet dark chocolate, and a light and sweet cherry icing in every tantalizing bite. We’d argue that cupcakes are actually a great dessert to make when you’re on a diet because they come pre-portioned. Enjoy something yummy without going over the top by enjoying these one at a time. Once again, fresh cherries add a sophisticated flavor to this dessert, but maraschino cherries also taste scrumptious if you go that route. Ice cream is something you can enjoy year-round. Don’t relegate it to the back of the freezer until springtime rolls around! 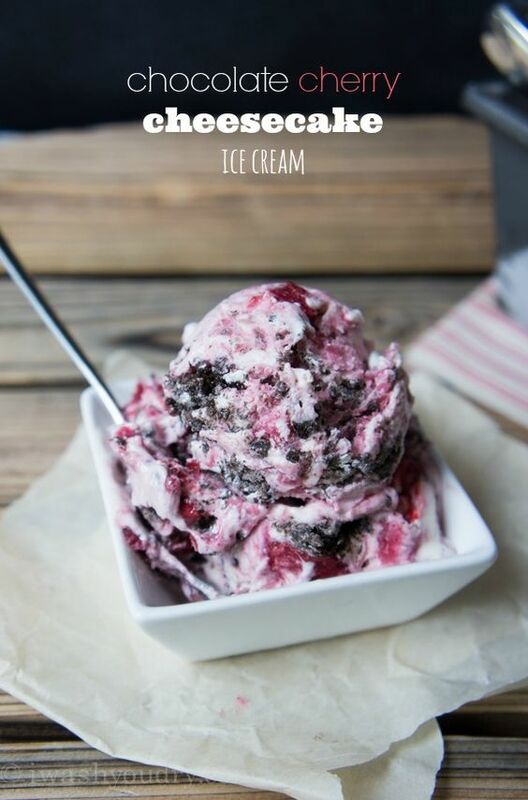 Instead, try out this sweet and luscious chocolate cherry cheesecake ice cream recipe this winter. You can even follow our other tutorial about how to make ice cream with liquid nitrogen or without a maker at all! This ice cream recipe is already loaded with flavor, but try sprinkling in chocolate chips, chocolate bits, or raspberry truffles for extra elegance. Then, serve it in a chocolate cone, in a dish, or sandwiches between two fresh-baked cookies to put it over the top! Do you love chocolate covered cherries? If so, share your favorite recipes below or tell us about which flavor combinations you crave. We always love hearing from our candy-loving friends, so please share with us.